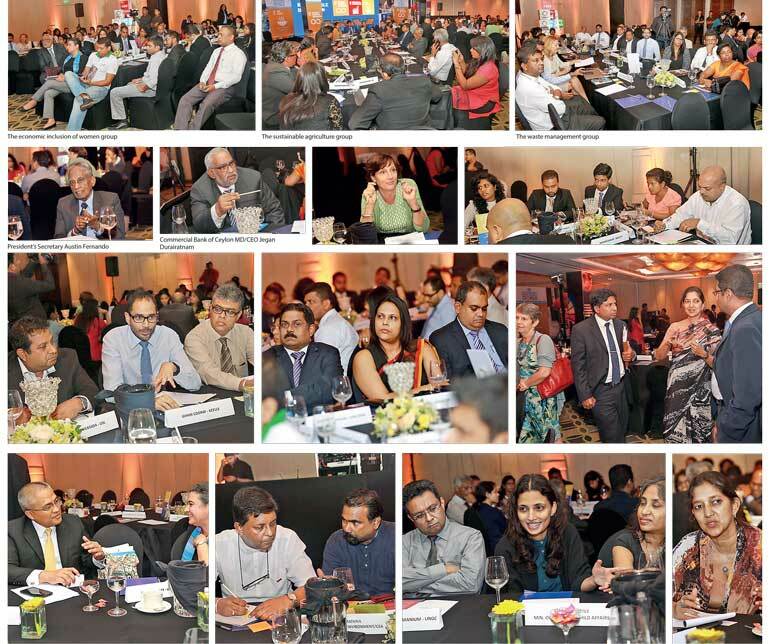 Unilever Sri Lanka together with the United Nations Global Compact (UNGC) Sri Lanka hosted a discussion on public-private sector partnerships to achieve the 2030 Sustainable Development Goals (SDGs) at the Hilton, Colombo, recently. The first event of its kind, the forum brought together C-suite executives from both the public and private sector, stakeholders from the academia, media and non-government development agencies. Secretary to the President Austin Fernando was present at the event. In line with Goal 17 – Partnerships for the goals – the organisers sought to highlight the need for a strong commitment to partnerships and cooperation to drive the nation forward and help realise the SDGs. Unilever Sri Lanka Chairman Carl Cruz welcomed the invitees and delivered the inaugural keynote address of the evening. Highlighting some of the pressing issues faced by the world, he stressed on the need for collective action to foster sustainable development. He spoke about how the company places sustainability at the core of its business model and works by the simple philosophy of ‘Doing well by Doing Good’. He further went on to share instances of initiatives undertaken in partnership with communities and other stakeholders where win-win collaborations have been made. He also updated the audience on the progress made by Unilever, both globally and locally, in the six years since the launch of the Unilever Sustainable Living Plan, the company’s blueprint for sustainable equitable business. Aitken Spence Director and Head of Business Development and Plantations and UNGC Sri Lanka Chairman Dr. Rohan Fernando followed Carl, drawing on his extensive experience across the Aitken Spence group and mentioning the success stories of Heritance Kandalama hotel and the Aitken Spence carbon neutral printing facility. Being farsighted and patient has paid dividends with these sustainable business ventures, because they have added value to both the community and the business. He also touched on work done by other UNGC members around the country. MAS Holdings Director – Group Human Resources Shakthi Ranatunga delivered the final keynote address of the day. Educating the forum on MAS’ strategic social and environmental sustainable initiatives, he highlighted the importance of forging private and public partnerships to achieve sustainable goals. He pointed out that State sector stability and reach should be complemented by private sector agility and efficiency when rolling out initiatives. The keynotes were followed by a panel discussion on the ‘Synergetic advantage of partnerships in driving the SDGs’. Dialog Axiata PLC Group Chief Executive Officer Supun Weerasinghe, Ceylon Biscuits Ltd. Group Managing Director Shea Wickramasinghe, United Nations Country Representative – Sri Lanka Una McCauley, Strategic Enterprise Management Agency (SEMA) Chief Executive Officer Asoka Abayagunawardhana and COSTI Project Director Prof. Ajith De Alwis took part in this discussion which was moderated by Unilever Sri Lanka Director – Human Resources and Corporate Relations Sumeet Verma. The panellists deliberated on the fact time is running out and a sense of urgency must set in towards action. Furthermore mutually beneficial partnerships where purpose and profit go hand in hand will ensure sustainability of projects, which will benefit more. The audience was then split into three groups for moderated round table discussions on three of Sri Lanka’s key country call outs related to the SDGs viz. sustainable agriculture, economic inclusion of women and waste management. Identifying key issues faced by the nation in these areas, the groups deliberated on possible solutions and corrective actions, focusing on enabling greater partnerships and collaboration amongst all relevant stakeholders. The outcomes of these discussions as well as key learnings from the rest of the forum are to be compiled into an action policy document which will be handed over to the Secretary to the President, the Chamber of Commerce and the Ministry of Sustainability and Wildlife to garner greater support from the Government and drive necessary action by the relevant ministries and departments.